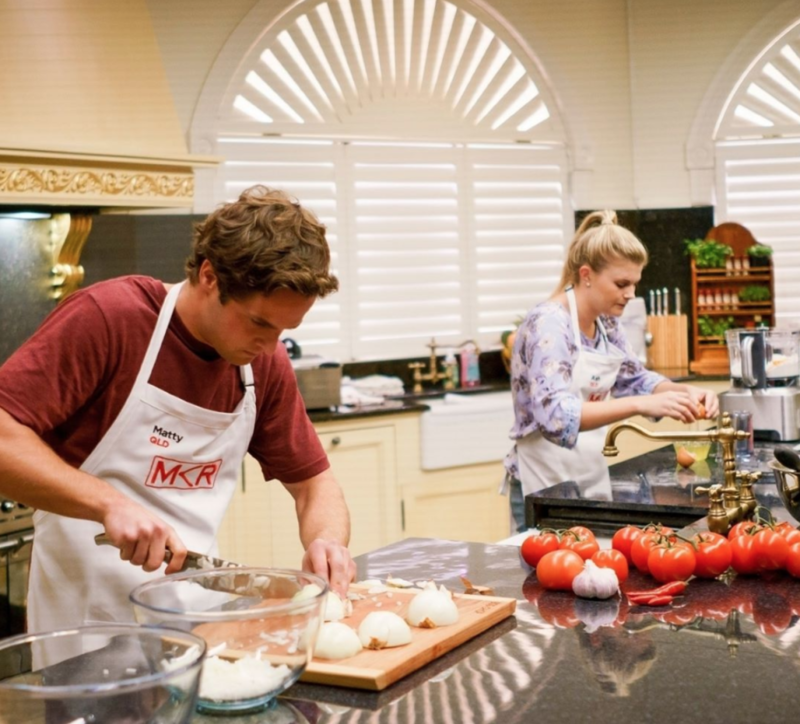 Queensland couple Ash and Matty traded their laid back lifestyle for the heat of the kitchen in the upcoming new season of My Kitchen Rules. But, it wasn’t all sunshine and rainbows. Monday night’s episode saw the couple facing off in a sudden death cook off in the new ‘Elimination House’ against Perth waitresses Stella and Jazzey—and were the first to be eliminated. Despite their age—Ash (25) and Matty (26)—the Queensland lovebirds believe they had what it took to impress MKR judges, Manu Feildel and Pete Evans. However, the chefs weren’t the only ones Ash desired to impress. “I definitely liked what I saw,” she laughs. The couple quickly became the MKR favourites with their quirky humour, creative gestures and well-built relationship. So, what’s on the cards for Valentine’s Day? “Nothing too fancy because I get home around 7am in the morning,” Ash says. The surfer knew he’d be ‘stuffed’ without partner Ash and took a risk doing what a partner does best—regardless on his less-than-desirable skills in the kitchen. But, he gave it his best shot! “Ash really wanted to do it and I thought it’d be a good experience to learn how to cook — which is a life skill,” Matt tells us. “His food has been pretty good. I’m not going to lie!” Ash blurts. And the couple’s plans for the future? “Well I’m making a cake for my sister’s wedding and that’s about it for now.” Ash says. Wait, what about setting up a catering business?